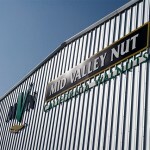 Mid Valley Nut is a family company built through four generations of hard work and innovation. John Casazza and his father-in-law Art Schrage started the business in 1970, processing walnuts in a converted hay barn with used equipment. 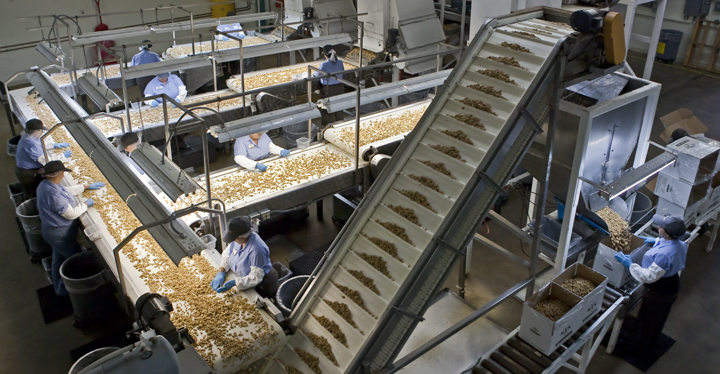 In the early days, Art worked the day shift and John, who was growing walnuts and managing farms, worked at night. John’s wife Suzanne joined the business as it steadily grew. 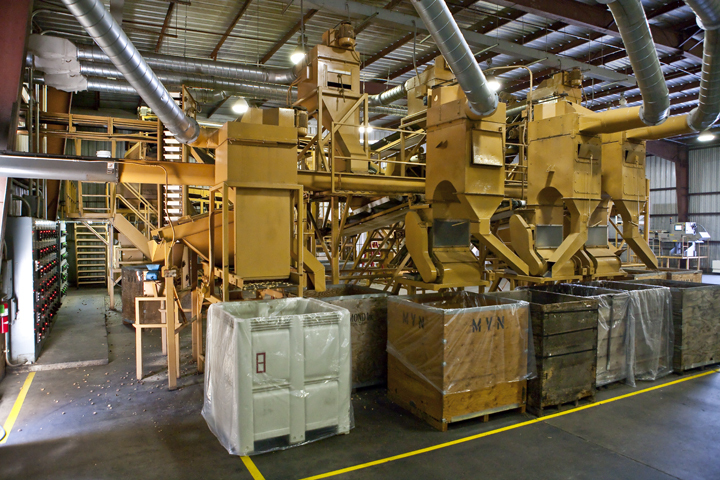 Today, the Mid Valley Nut Company has modern facilities and equipment, giving it processing capabilities undreamed of in 1970. 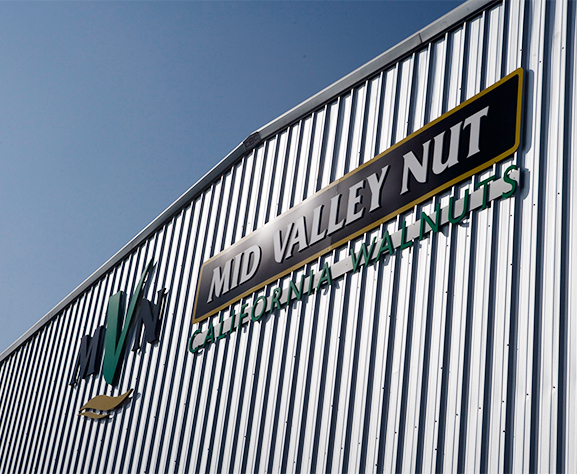 From in-shell walnuts sacked for export to private label cello packs ready for snacking, Mid Valley Nut can meet any customer’s needs. 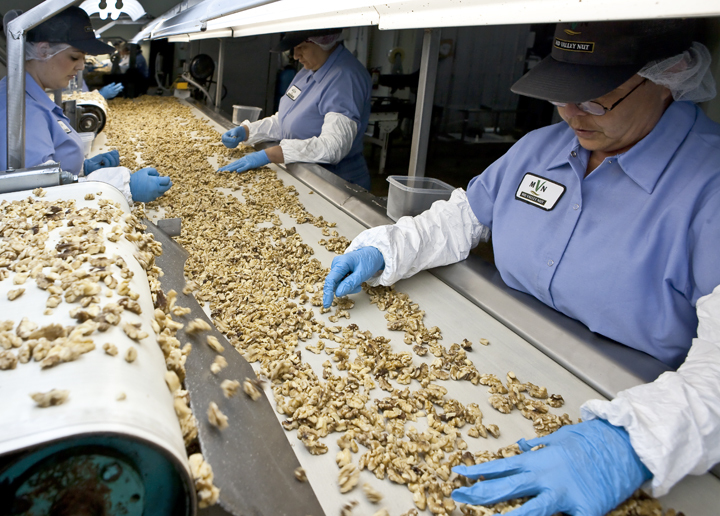 After drying, in-shell walnuts are sized as jumbo, large, medium, or baby according to USDA standards. 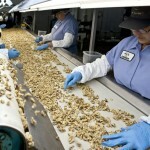 Shelled walnuts are removed from storage as needed and mechanically cracked. 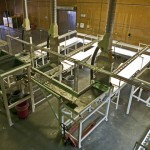 The shelled material is screened. 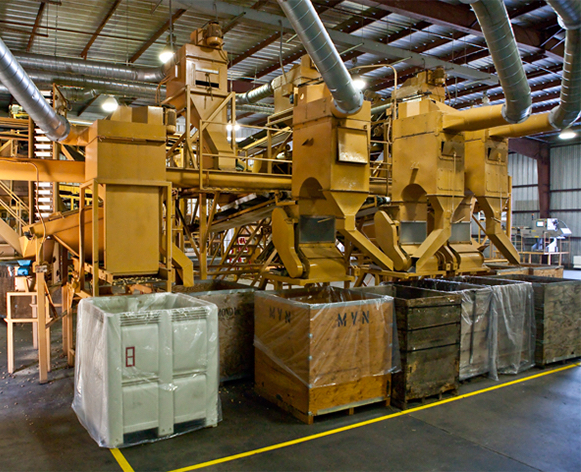 Kernels are screened into a series of sizes, air-separated from shells, and moved to electronic color graders and shell sorters. 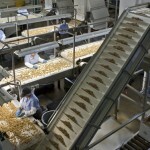 Finally, they are hand-sorted by trained sorters and certified for quality and USDA Standards. 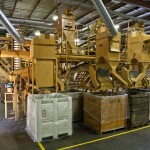 Walnut production takes commitment, patience, and orchards dedicated only to walnut production. 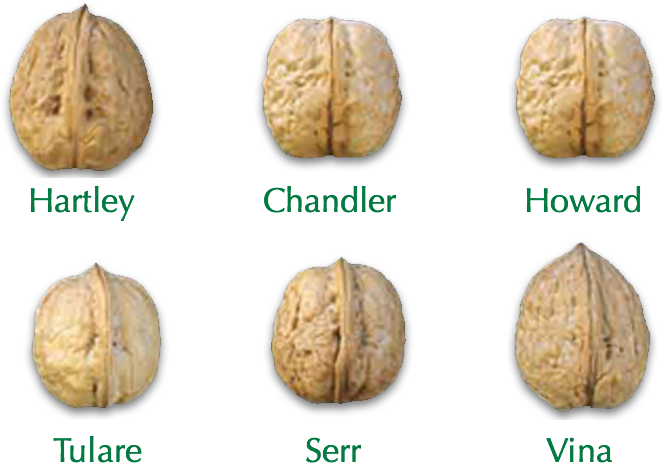 After a walnut sapling is planted, it takes five to seven years for it to grow into an adult tree suitable for harvesting. 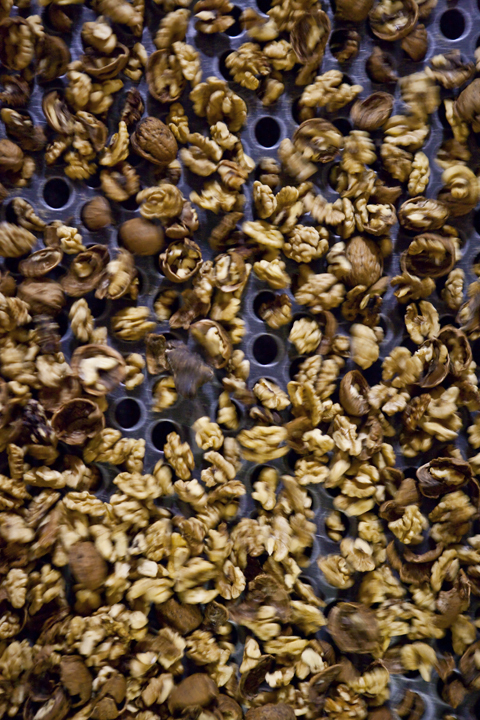 Although many varieties of walnuts are grown in California, six account for over 75 percent of total production: Hartley, Chandler, Serr, Vina, Franquette and Howard. 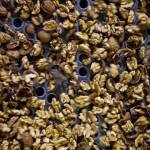 Harvesting begins in late August when the drying green hulls start to split, allowing the in-shell walnuts to be removed, and continues until late November. First the orchard floor is swept clean. Mechanical shakers vigorously shake each tree and thousands of walnuts fall to the ground. 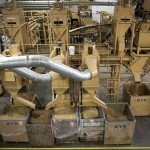 The walnuts are carefully swept into windrows to allow mechanical harvesters to pick them up for cleaning. California Walnuts contribute many beneficial nutrients to the diet. 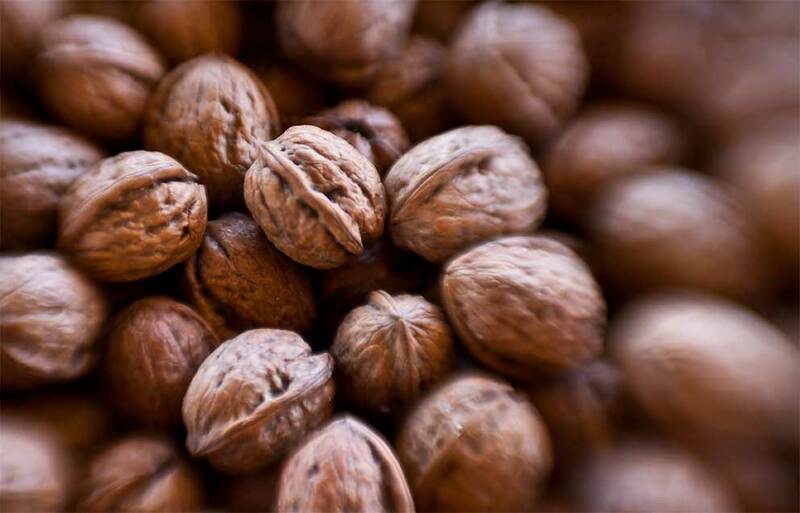 For example, walnuts are a source of good polyunsaturated fat (PUFA) and contain essential alpha-linolenic acid (ALA), a plant form of omega-3 fatty acid. 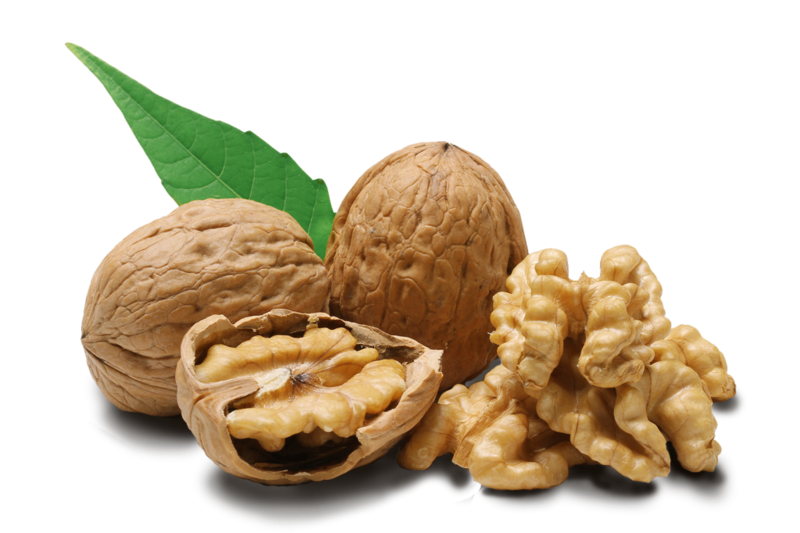 One serving of walnuts contains 18 grams of total fat, of which 13 grams are PUFA and 2.6 grams are ALA. Clinical research has been conducted on the benefits of walnuts in the areas of heart health, diabetes, cognitive function, cancer and bone health. More information on these studies can be found at www.walnuts.org. 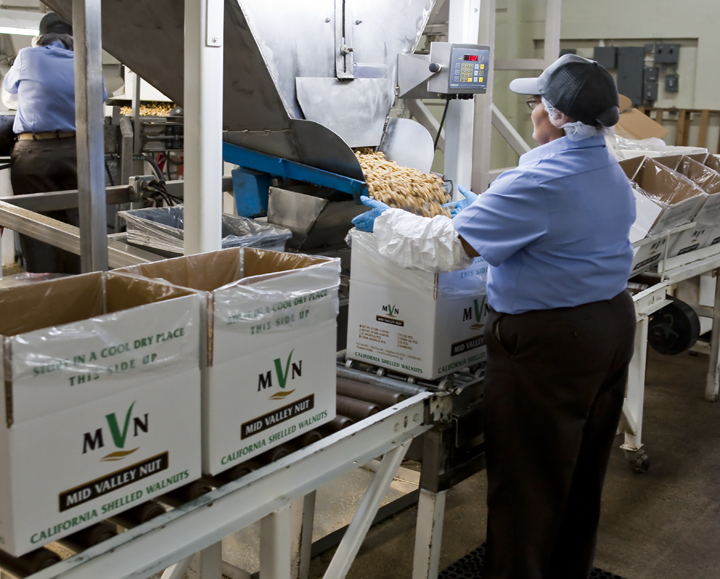 At Mid Valley Nut, we’re committed to helping our growers succeed. 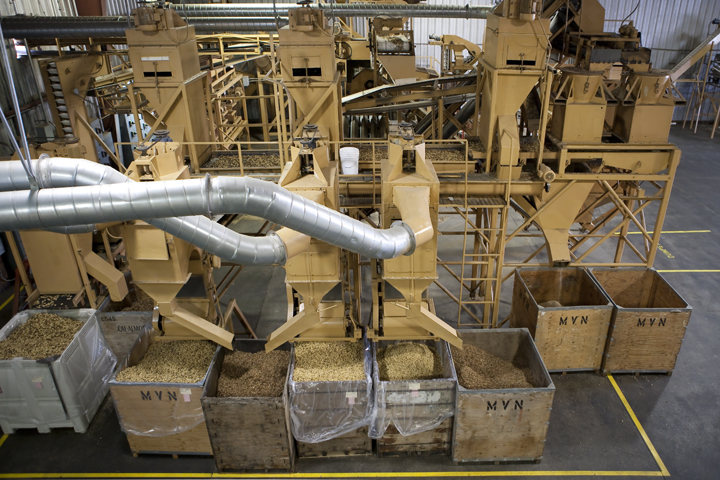 With shelled and in-shell processing capabilities, Mid Valley Nut supplies traditional markets and is helping open emerging markets to healthy California walnuts. 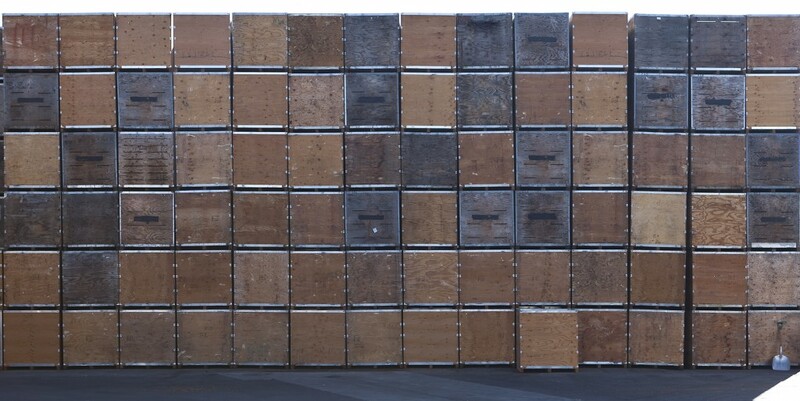 And that’s good for our growers’ bottom lines. 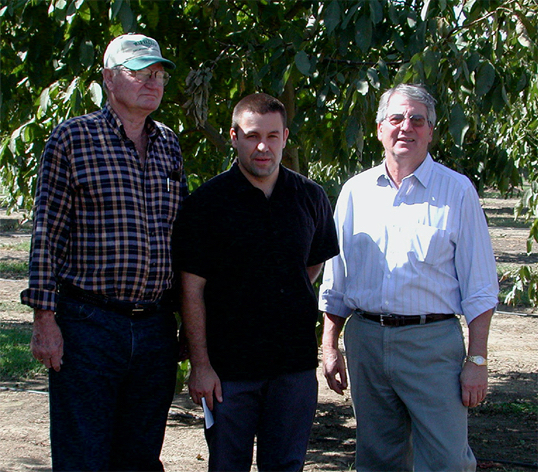 We’re a family company founded by walnut growers with a 40-year history of success and financial stability. When you call Mid Valley Nut, you’ll get one-on-one service from a real person. We have regional reps throughout the state and an efficient, friendly grower-relations staff in our Hughson headquarters. 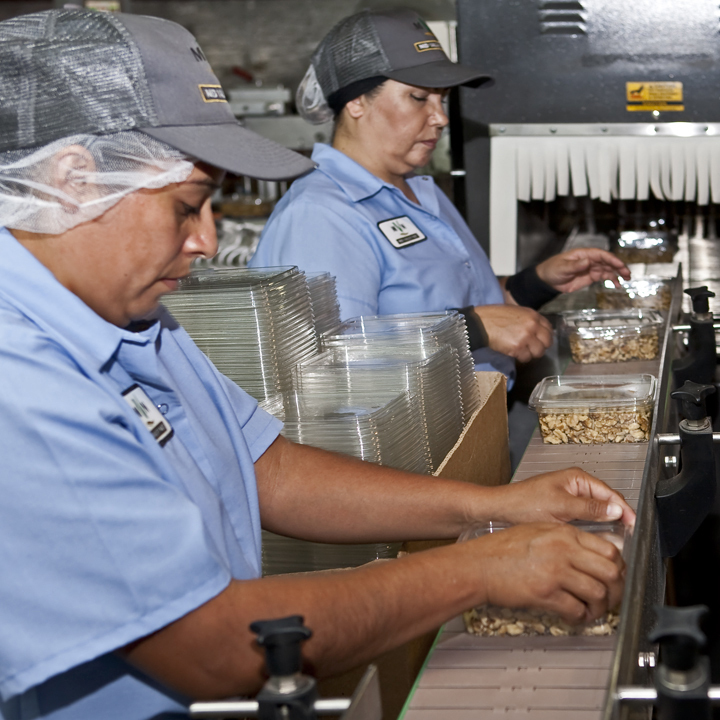 Mid Valley Nut Company is price competitive and offers flexible payment plans and different contract options, so you can choose the best plan for you. 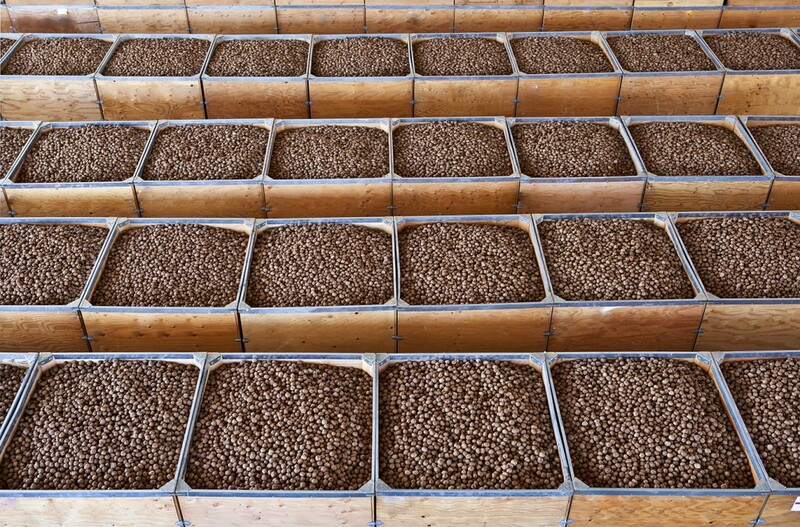 Our growers can even choose to have their nuts graded by our in-house graders or DFA inspectors, and we offer early-harvest and quality incentives. 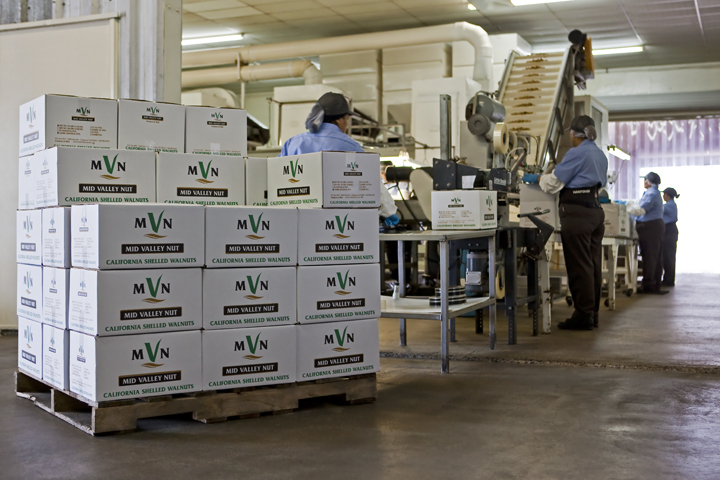 To learn more about the benefits of being a Mid Valley Nut grower, call Grower Relations Manager Angela Casazza or Grower Account Representative Crystal Heller at 209-883-4491. 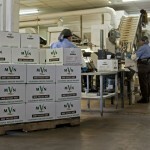 At Mid Valley Nut Company, nothing is more important than quality and safety. 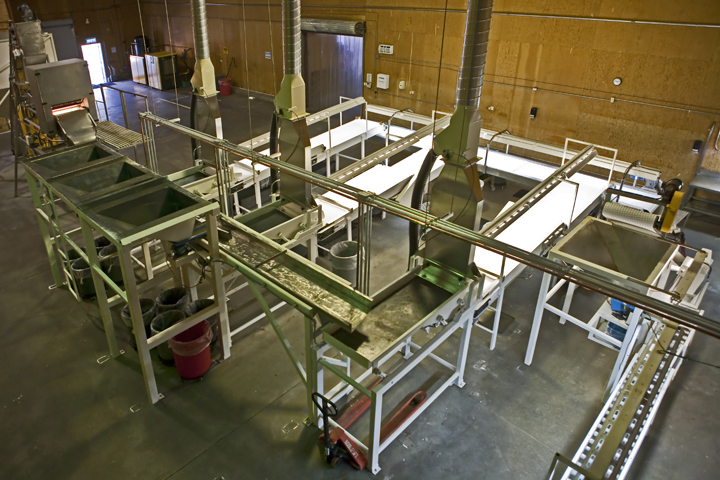 We are certified by the American Institute of Baking with a Superior rating and our facilities are routinely inspected by third party inspectors, allowing Mid Valley Nut to maintain and improve our HACCP programs and Good Manufacturing Practices.